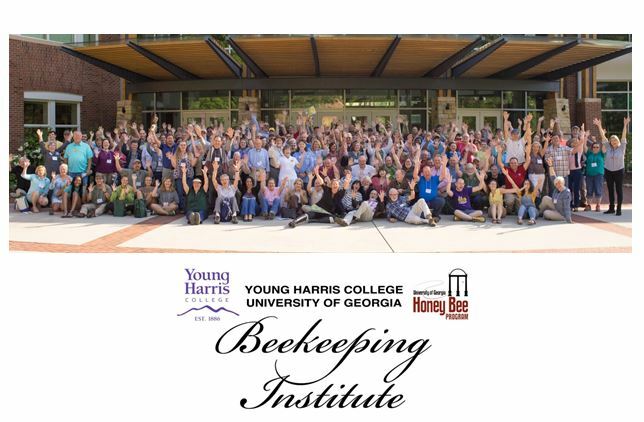 This will be my 3rd season as a beekeeper. Each year I like to learn new skills and this year I would like to trap some swarms. I’ve read about trap types, lures, and preferred locations and have placed three traps within 1/2 mile of my apiary. My question is if I should be fortunate enough to catch a swarm and hive them will the foragers return to the trap location and if so how can I prevent that. I can check the traps daily so would most likely take them home the same day near dark. Thanks in advance for your help and the many interesting articles on your web site. A: It’s true that, if you were trying to relocate an established hive, a move of half a mile would probably not be enough to prompt foragers to reorient upon making their first flights from the new site. They would be likely to try to return to the original location. 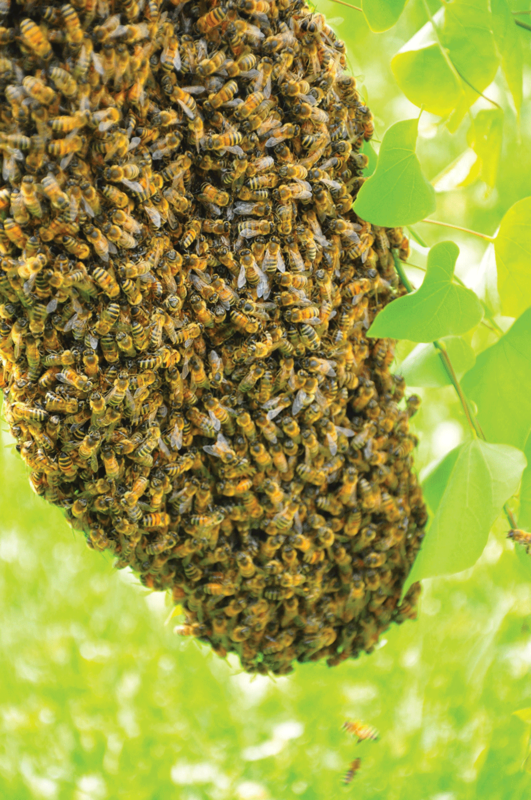 However, if you check the bait hives daily, and move any swarm you catch before the foragers have a chance to orient themselves to the environs of the bait hive, you should not have a problem. Even if some should return there, your losses would be small. Because they need to build comb as quickly as possible, swarms are comprised of a large percentage of young, wax producing bees. 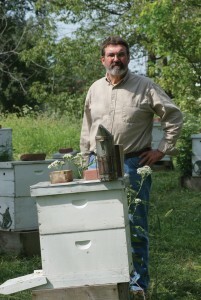 By the time those bees are ready to make their first foraging flights, they will imprint on the site of their new home. Though haven’t used bait hives in a number of years, I frequently hive swarms I catch in the vicinity of my house. I transfer them to a hive body, which I leave at the swarm location until near dusk in order to collect as many bees as possible, then move it to a new location in my bee yard nearby. I never have a problem with bees wanting to return to the original swarm site. Be aware though, that just because they don’t return to the trap location doesn’t mean that they will accept the hive you put them in. Placing a frame of brood or a few frames of drawn comb in the box will improve the chances that they will settle in. If they do abscond, they will most likely just move to a nearby tree or branch – not go back to where the swarm trap was originally located. 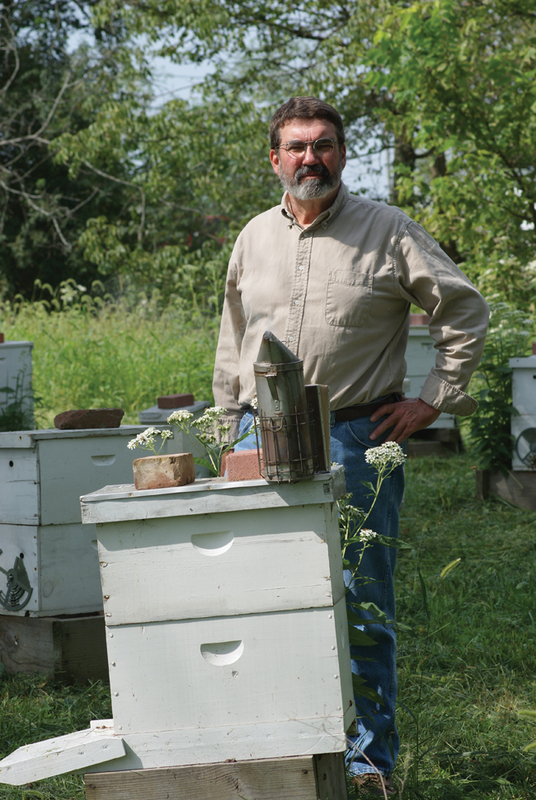 Since you have obviously been doing some research, you might be interested in the work of Dr. Tom Seeley, author of Honeybee Democracy – a very informative book about the decision making process during swarming. He also wrote a nice article about bait hives, though it doesn’t address your specific question. It can be downloaded from the Cornell University webpage: https://ecommons.cornell.edu/handle/1813/2653. In this helpful handout Dr. Seeley offers tips about bait hives, such as the best distance from the ground to place them (about 15 feet), the ideal box size (about 1.5 cubic feet), pheromone attractants, and other useful information. Thank for you time and thoughts . . .
A: No matter how long we work with these little creatures, they can always manage to surprise us with something we haven’t seen before. As long as you continue to see healthy worker brood, I would not be overly concerned. There are a few of possible explanations – none of them anything to worry about. New queens do sometimes lay multiple eggs in a cell; this one is not new, but she is young. I have also heard, though rarely, of more mature queens laying a few cells with multiple eggs. One of those occurrences was also in the early spring, so your suggestion of an over-eager queen is plausible. Another possibility is that you do have one or more egg laying workers. Under normal circumstances, a worker’s urge to lay is suppressed by the presence of queen and brood pheromones, but aberrations can occur. It is only in a queenless hive, when all the usual constraints are removed, that laying workers get out of hand and become a BIG problem. Your small colony has both a queen and brood. Your suggestion that a small colony may not be able to utilize all the comb available to it is also accurate. I always say that it takes bees to raise bees, and a colony cannot make use of more comb than it can cover. 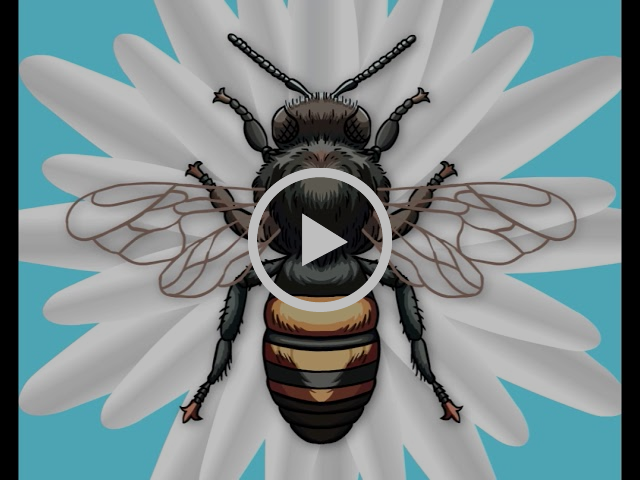 The bees must not only clean out cells prior to the queen’s depositing eggs in them, but they must also maintain a cluster around the eggs and developing brood in order to sustain a temperature of about 90ºF. Thus no egg laying or brood production is possible outside the area of the cluster. This is one reasons that we strive for strong colonies going into Winter – not only to increase Winter survivability, but also to allow rapid growth in the Spring. Just keep an eye on this hive as the season continues. If you continue to see worker brood, especially increasing amounts of it, you have nothing to worry about. The last couple of years, we been treating our hives for mites with vaporized oxalic acid. Since it works best with minimal capped brood cells, would it be best to vaporize the hives immediately when I receive our bee packages. Would vaporizing the bees immediately interfere with the pheromones and acceptance of the queen or would I be better off waiting a week or so. A: I have had the same idea myself. The use of oxalic acid as a quick and inexpensive control for Varroa mites in package bees has long been discussed. It can be vaporized, sprayed, or drizzled, but however applied, it is a “flash treatment” the effects of which have a very short duration. As you obviously know, it kills only the mites on adult bees, leaving those inside capped brood cells untouched. 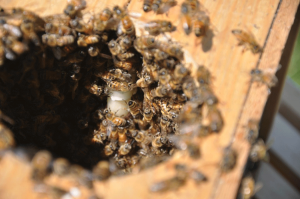 Since a large percentage of the mites present in a hive is usually to be found in the brood cells where they reproduce, this is a serious drawback. After a treatment, mites which were sheltered in cells emerge, already mated, replete from feasting on pupae, and ready to continue their reproductive cycle. As a result, any reduction in the level of Varroa infestation is quickly compensated by the mites. The obvious way for beekeepers to overcome this problem is by treating during times of the year when there is very little or no brood present, such as in early Winter. (By using the vaporization method of application, treatment can be accomplished without ever opening a hive.) 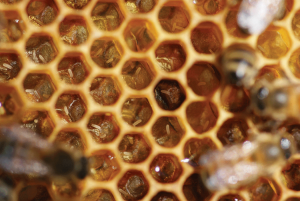 Because hives with newly installed packages contain no brood, they would seem to offer ideal conditions for the use of oxalic acid – if mite levels warrant treatment. That said, I think you’re wise to be cautious about treating packages too soon – with oxalic acid or any fumigant miticide. 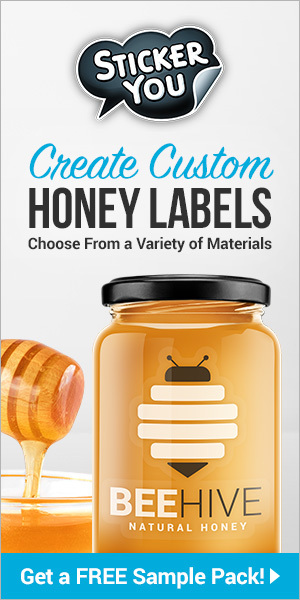 Every Spring I hear about a certain percentage of package bees absconding within a few days of installation, and no one can explain exactly why. Treating immediately might not cause a problem, but to be on the safe side, I would give the bees a week or so to get established first. Allow them to draw some comb, and the queen to leave the queen cage and begin laying. Mites do not move into the brood cells until late in the larval stage, so until the eggs begin to hatch, what Varroa is present will still be on the bees and highly susceptible to oxalic acid.